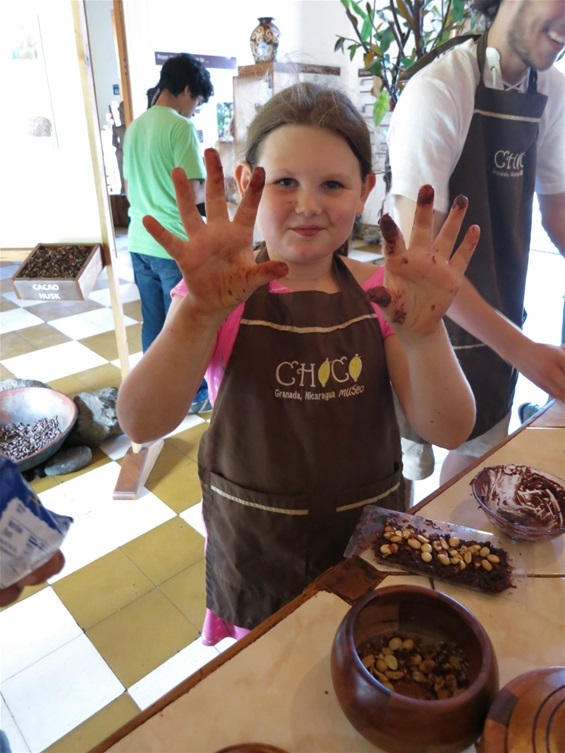 We cooked cocoa pods over a coal fire until they popped like popcorn, then emptied the shells of their sweet goodness, ground it with a mortar and pestle until it was creamy, added spices, honey, and water, and drank like the Aztecs. Later we used the same basic ingredients to make our own candy bars. Now that's what I call a tourist attraction! More photos on the food page.